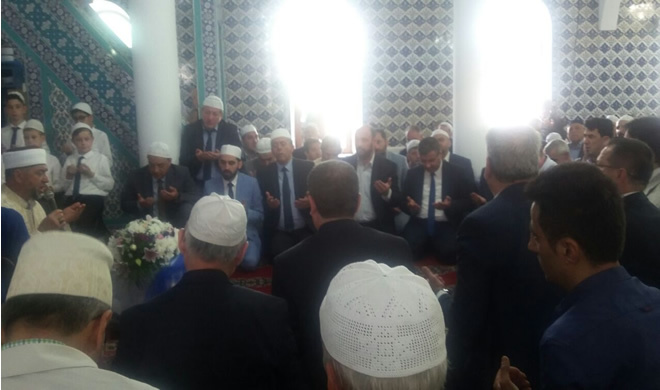 On Sunday 13th May 2018 Friendship Equality Peace (FEP) Party Vice President Ahmet Kara, attended the Hatim ceremonies organized by the parents of students who are taking education at Karsi Neighborhood and Ehinos village’s Quran Courses and read Quran from beginning to end. Xanthi Turkish Union President and FEP Party General Vice President Ozan Ahmetoglu accompanied FEP Party Vice President Ahmet Kara during Ehinos Village’s Hatim ceremony. Also during this events General Advisor of President Bahri Belco accompanied Vice President Kara. As FEP Party, we thank Xanthi Karsi Neighborhood and Ehinos village, the parents of Quran course students for continuing our traditions and for sending a very kind invitation to our Party. We congratulate the children who attended the Hatim event and their educators.